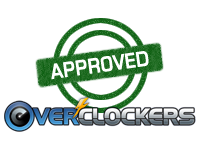 I bet by now a few of you out there are wondering, ‘man, why is overclockers.com so late for the party on this review?’, and frankly, I cant blame you just looking at the title. The truth however is Sapphire decided to resurrect a couple of 5000 series cards from AMD. The sample they provided us with is the 5830. Sapphire has updated this card with Optimized PWM’s that now work with its own Trixx overclocking software, Eyefinity on one card, and a much more aggressive price point. 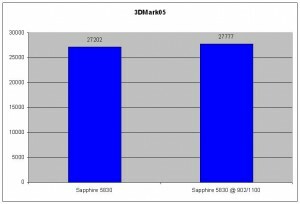 Lets take a look at the second coming and see what the 5830 Extreme has to offer. On-board Outputs DVI, Display port, and HDMI. HAWX2 was run at 1920×1080 with 8xAA, with everything set on HIGH. We’ll start the performance section off with Futuremark’s 3D applications. 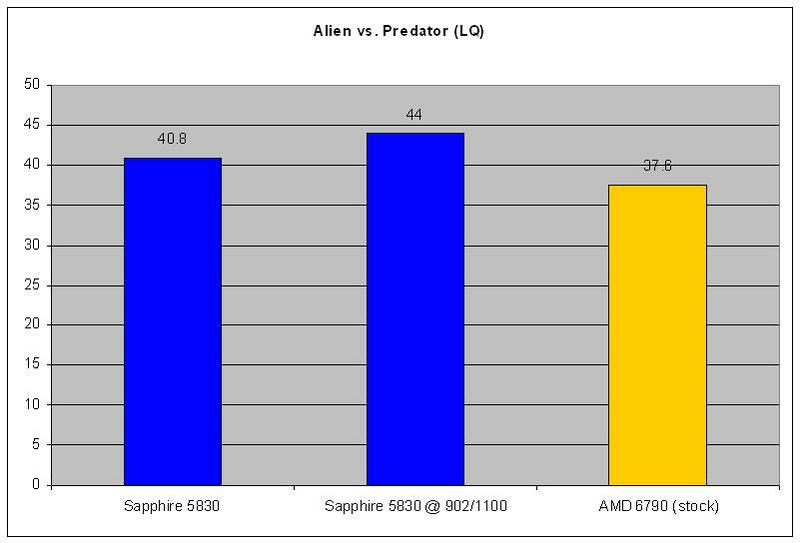 Where it was comparable, I have thrown in some results from Splat’s review on the 6790. Looks like the refresh is still holding its own against some modern budget cards! Rounding out the ‘synthetic’ tests are the hwbot approved Heaven bencmarks. 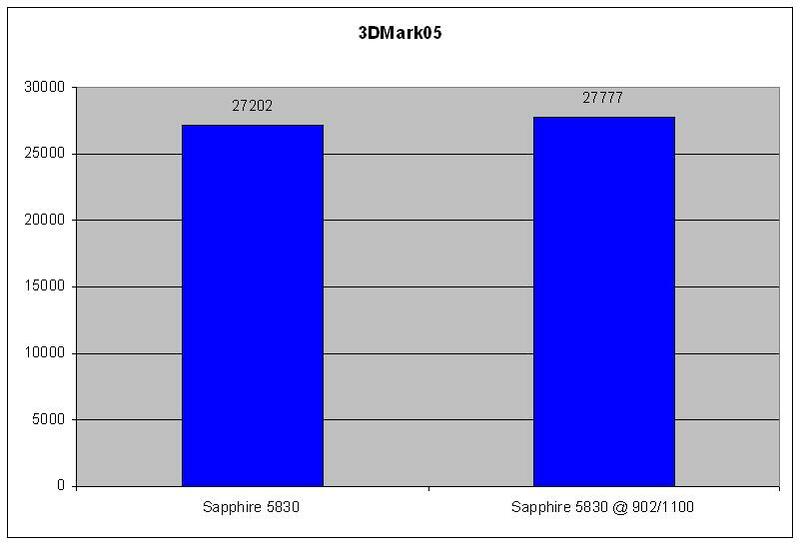 As noted earlier, these were run in both DX9 and DX11. I was also able to compare the 6790 fo rthe DX11 portion. Again its holding its own with the newer budget cards. Finally we get to a couple of games. For this review, I have added HAWX2 which is a very nice looking arcade style fighter jet game as well as Alien vs. 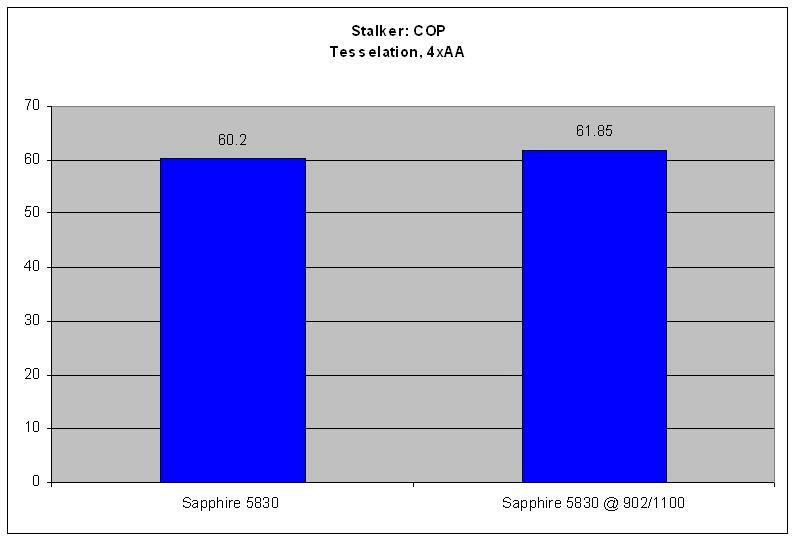 Predator and Stalker in three flavors.In AvP, you can see the 5830 performing a bit better than the 6790. I was pretty excited after hearing about ‘optimized VRM’s’ and its new ability to work with the Trixx overclocking software that this should overclock fairly well. With stock voltage (1.16v) I am stable across all benchmarks and a couple hours of BFBC2 and COD:MW2 at 902/1100. Not a lot of headroom on the stock voltage, however doing so brought decent gains in all the benchmarks used. Being on the benchmarking team, I was chomping at the bit to give this card more voltage. It turns out this is not possible with Trixx or MSI afterburner. 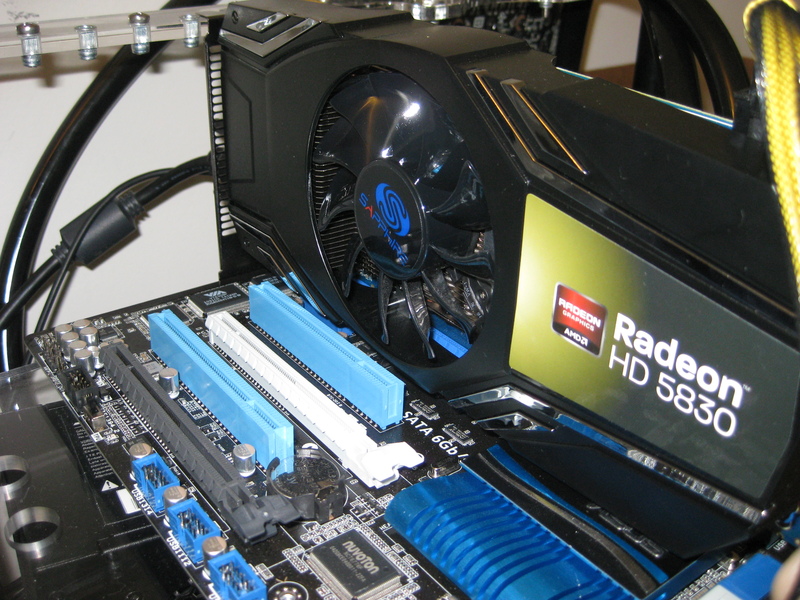 It may be possible with Radeon Bios Editor, but I have not tried. So stock voltage it is and we have already seen the results there. Nothing much to see here really. 100Mhz headroom isnt chump change however. The power consumption figures for this new release card shouldnt change much if at all. 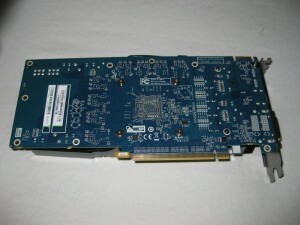 Upon release the TDP for the card was at 175W. Using the Kill-a-Watt meter I found that under full load with the CPU at stock speeds (3.4Ghz) power consumption peaked at 339W in vantage and was holding around 320W throughout testing and gaming. 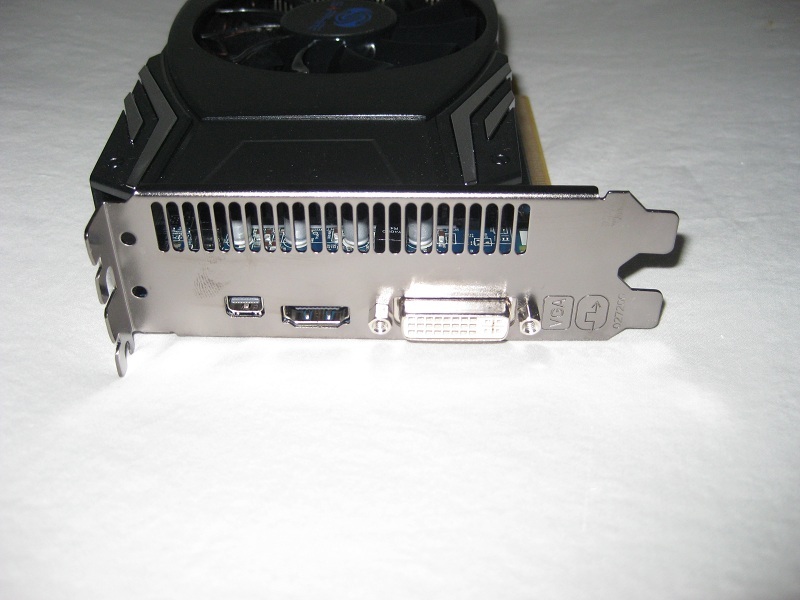 Its not a power hog like the higher end cards thats for sure, but its not sipping on power like for an HTPC. 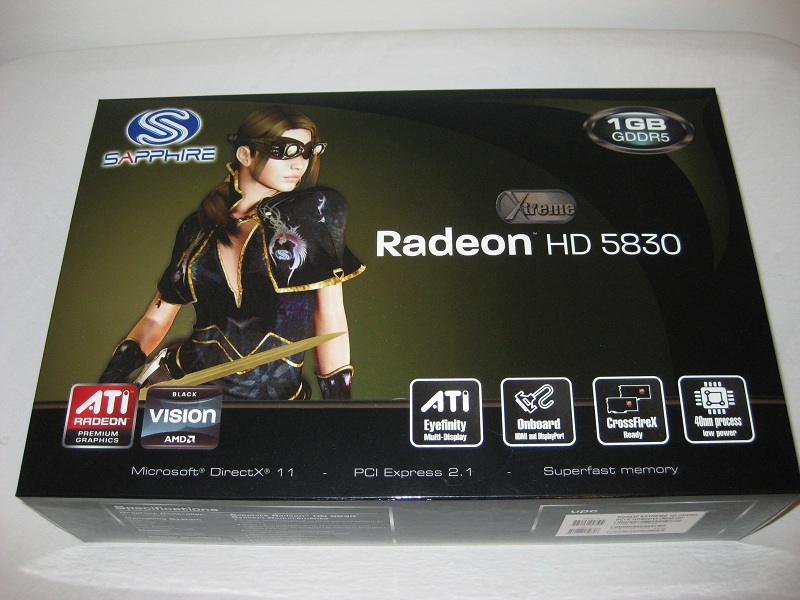 Which of course is all good as this is a midrange card that can actually play some games with good settings and isn’t meant to be a powerhouse or a low powered video card. 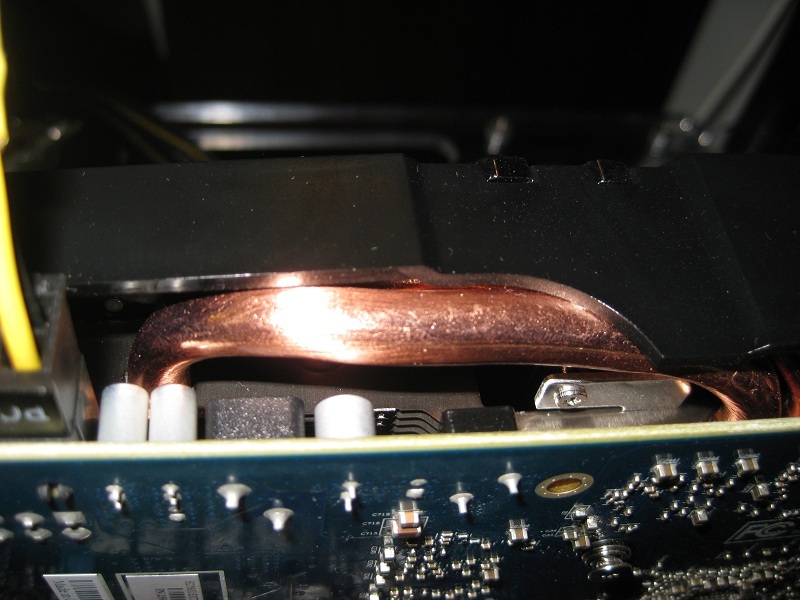 The temperature of the card with the default fan profile never crept above 65C. 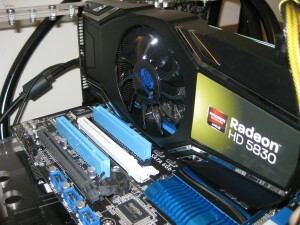 Fan noise was not bad at all through 50%. 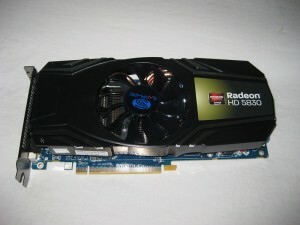 After that you could hear the noise from the air movement but no audible tone like was coming from the 560ti I reviewed I couple of weeks ago. For once I didn’t have to adjust the included profile and just left it as is while I played games and got the testing out of the way. Well, to sum all this up is a bit of a difficult task for me this time around. 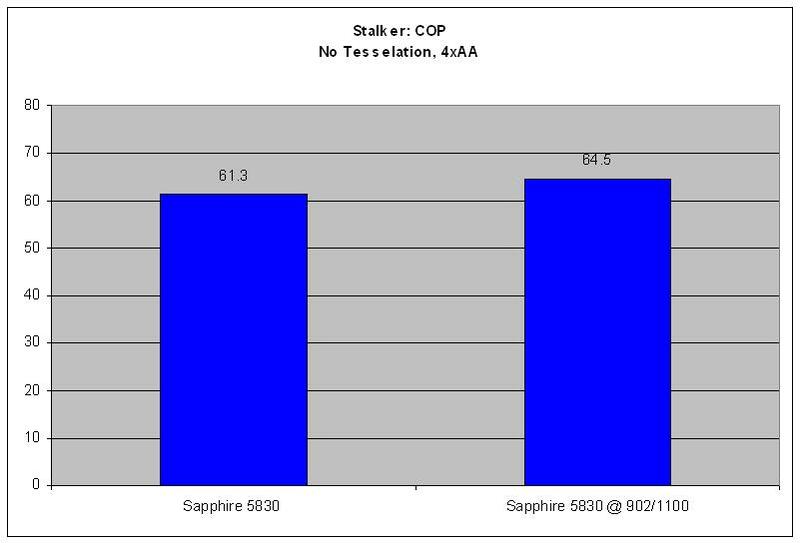 The 5830, at least around most forums, was not a well accepted card at its price point upon release ($239 MSRP). There were better performers out there that cost the same and less, or a lot more performance for a just a bit more (the 5850 was only $25 more at the time and offered a significant jump in performance). 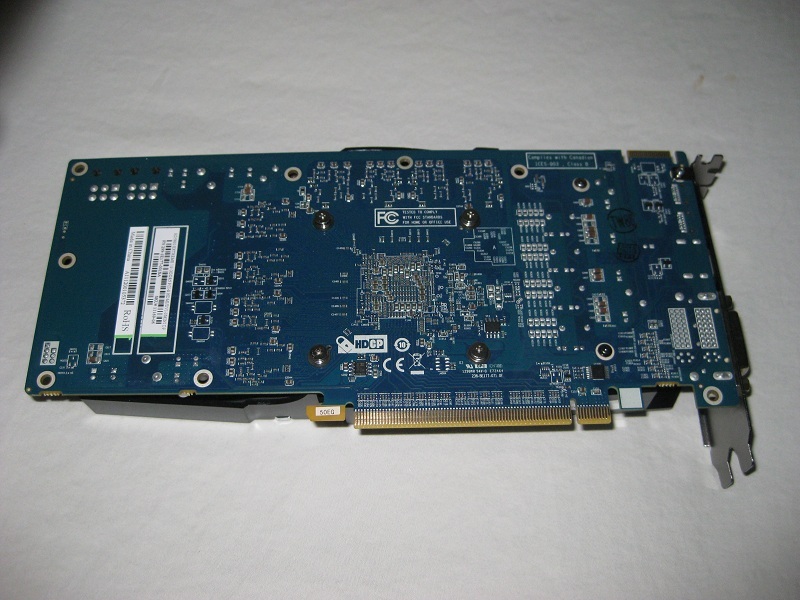 The general consensus on this card was that it would be a great fit around $175 or so at the time. Guess what? Sapphire has heard you. 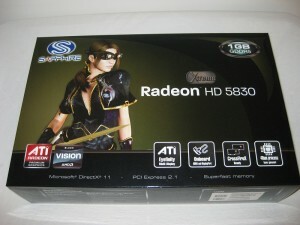 They have gone very aggressive on the pricing for the release of this card and the MSRP comes in at $129. This pricing puts it squarely in competition with a 550ti which it beats across the benchmarks I have compared it to. It cannot beat out the 560Ti but its also priced considerably less. Newegg.com is selling the Sapphire 5830 for $129.99. 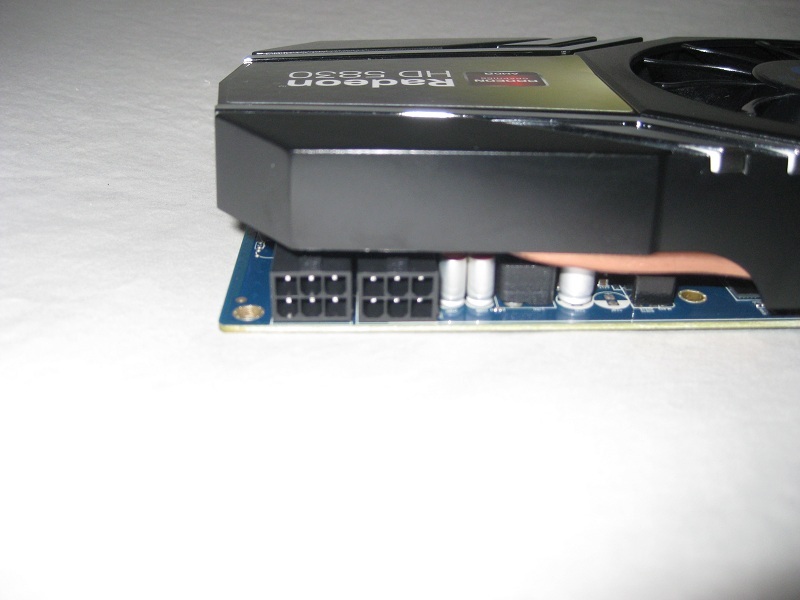 Overall I will give this an overclockers.com ‘Appproved’ stamp. I know for some this may be a bit controversial considering what most of us thought about it in the past. The pricing and performance NOW fit right in with its more recently released competition the 550ti. 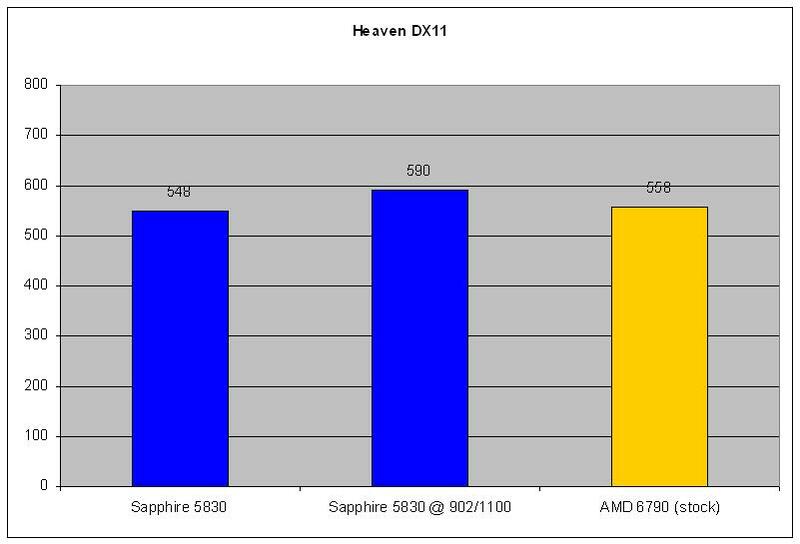 Also supporting that decision is that it seems to perform a bit better in some tests with similar feature sets than its newer cousin, the 6790 (see review here) and is also less expensive. 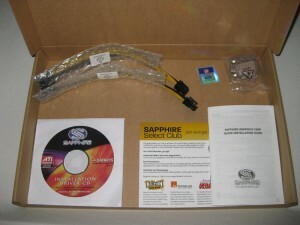 If you are looking for a card at $130 or less that plays games well with most settings on high and do not have a very high resolution, think 1920×1080 or less, this Sapphire 5830 should be on your short list. Previous Article Benching Team Members LIVE Saturday, April 9th!